Most clinical laboratory tests utilize interstitial and extravascular such as blood, urine, cerebral spinal fluid (CSF), and saliva. For example, CSF is monitored in the context of cancer for both diagnostic and therapeutic reasons. And yet, our understanding of the makeup of interstitial fluids, their relationships to disease, as well as their commercial importance in therapeutics and diagnostics remains rudimentary. Although sometimes perceived as static, interstitial and extravascular fluids are surprisingly dynamic. More than half of serum albumin is in the extravascular space. These fluids move rapidly between the intravascular and extravascular spaces - one entire plasma volume is exchanged very nine hours. In the first half of the book, the authors cover fundamental concepts of interstitial fluids, including their composition and function. They then further review the mechanisms by which interstitial fluids are regulated, characterizing the importance of hyaluronan - a major constituent of interstitial spaces and an a component of synovial fluid; and, outlining the regulation of proteolysis in the interstitial space. In the second half of the book, the authors focus on the coagulation system. This system has been studied extensively in the context of vascular spaces. But many of its components exist in the interstitial spaces. Chapters are devoted to the fibrinolytic system, kallikrein, matrix metalloproteinases, coagulation factors, and protease inhibitors - all are interstitial. 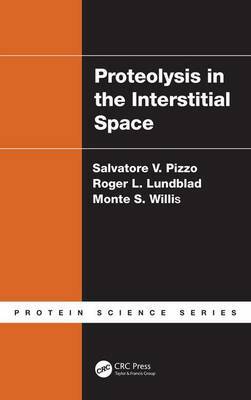 By covering a unique array of topics with broad application to biomedical scientists, this book expands our understanding of the importance of interstitial spaces and the fluids that move through and reside in this extravascular environment.